The Australian Transport Safety Bureau (ATSB) published a study (AR-2010-044) on aircraft loading occurrences from July 2003 to June 2010. The report documents the number and types of safety occurrences involving loading of high capacity aircraft to raise awareness within the aviation industry of the associated issues. 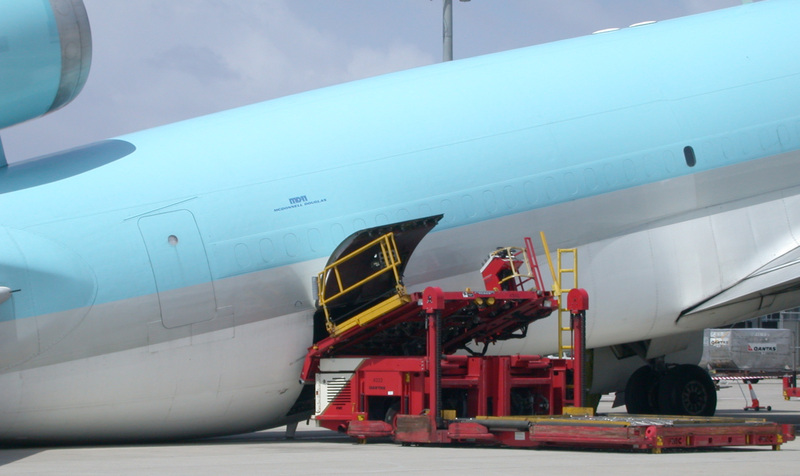 Incorrect loading of containers, pallets or bags into aircraft can result in them being outside of weight or centre of gravity operating limits, and this may influence aircraft controllability. Most high capacity aircraft loading occurrences are relatively minor, with cargo locks not being raised being the most common. More serious occurrences have involved shifting cargo and unlisted cargo being loaded onto aircraft. Aircraft performance has been affected in a small number of cases, and the result has been rejected takeoff, extra stabiliser trim, or aircraft control difficulties. Perform cross-checks between the mean aerodynamic chord and stabiliser trim setting, for all LIRs. Perform a cross-check of the aircraft weight, as recorded in the aircraft manual – with the load report weight, and ensure the aircraft registration details are correct on the loadsheet. Flight crew should not accept a loadsheet while the aircraft is being loaded. Incorporate rules within load control software that stop incorrectly configured aircraft loadsheets from being generated. Remove off-loaded/rejected containers or loads from next to the aircraft where they can potentially get reloaded in error. Use on-board aircraft weight sensors as a cross-check against weight and centre of gravity calculations.